Whilst the world was a very different place in 2012 the time was right to relaunch this exceptional design. Young people may not have experienced the same thrill as the early Threewheeler pilots and perhaps cult status is assured for a car with such an emphasis on simple honest functionality. The future of road transport in the 21st Century has two big issues, the conservation of precious resources and the protection of our beautiful natural environment. 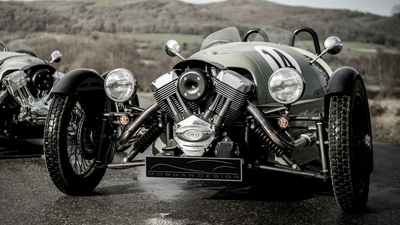 Downsizing and a philosophy of simplicity are ways of dealing with these problems.The Morgan Threewheeler is a proven answer to these problems. 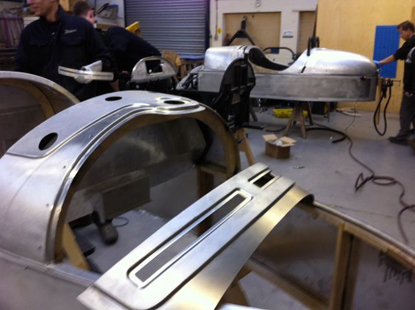 In 2012 the Morgan Motor Company expanded its range and go back to its roots. 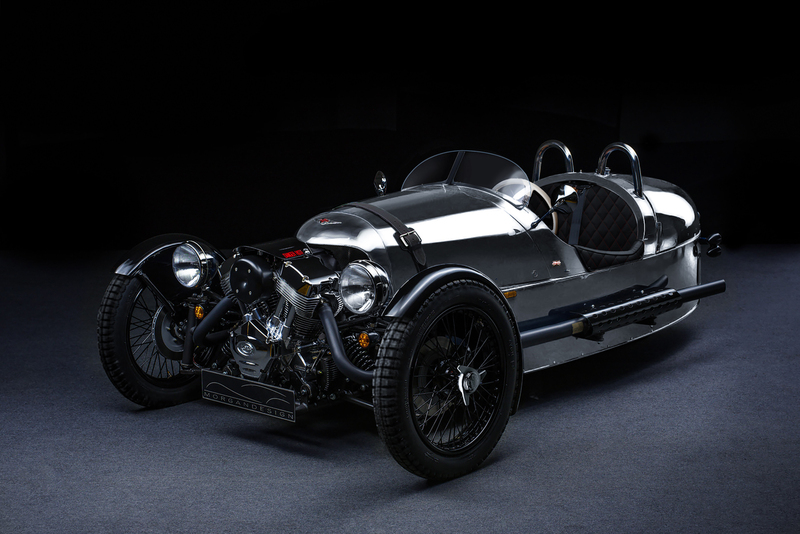 The 2018 Morgan Threewheeler is a fusion of modern technology into a classic design. By fitting the latest 45 degree, air cooled, 1900 cc Vee Twin from S &S (click for info), 115HP, the absolute Rolls Royce of “Harley Style” engines. and a Mazda 5 speed gearbox the car provides ‘get in and drive’ simplicity and reliability. A sturdy tubular frame and two rollover bars surround the passenger compartment. An aerodynamic super formed “bullet” hull protects the occupants from the weather. However the feeling of freedom and contact with the road through the front wheels will bring to mind the joy of driving cars from the 20’s and 30’s but with none of their fragility or temperament. A leather padded aircraft style cockpit indulges the feeling of “flying through the air”. Refining the original design has produced a unique 21st century vehicle. A sub 500kgs overall weight and a slippery hull provides the ultimate in performance and fuel economy. 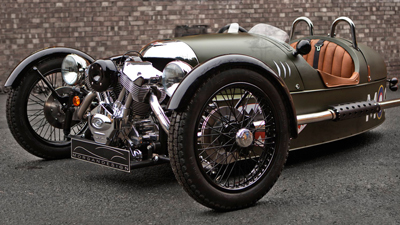 The Morgan Three wheeler has unrivalled power to weight for its on the road price.